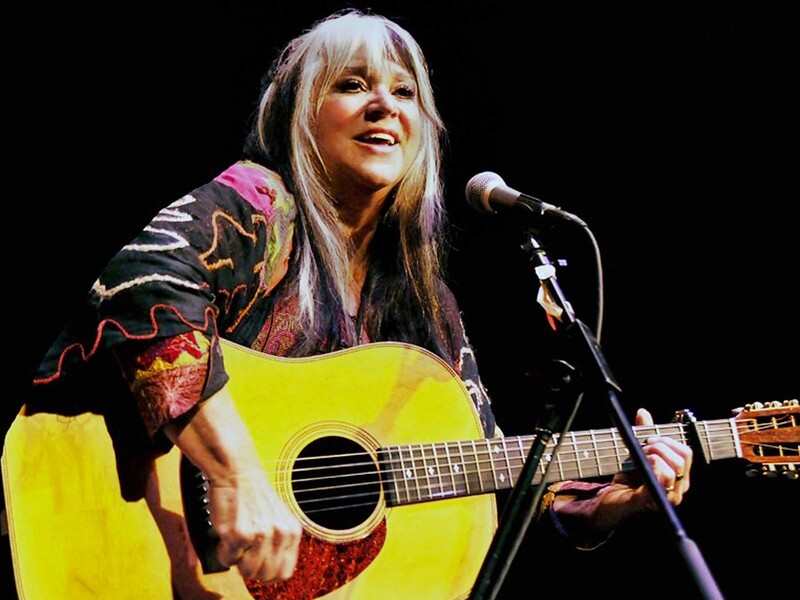 NEW YORK-BORN Melanie Safka – better known simply as Melanie – is true singer-songwriter royalty. Having been thrust into the spotlight as a relatively unknown 22 year-old folk singer by an appearance at the now legendary Woodstock Music Festival in 1969, she has gone on to make a long career out of music and songwriting. An upcoming tour of Australia will allow fans the chance to hear classic songs ‘Brand New Key’, ‘Ruby Tuesday’ and ‘Lay Down (Candles In The Rain)’. What can fans expect from your shows on your upcoming tour? They can expect me to do some of my new ones and some of my old ones. They do not have to fear that I will do a jazz version of ‘Brand New Key’ or something. Some people get older and think it will be very clever to do jazz versions of their songs, but I won’t be doing that. It’ll be a good cross section of hits and things that were maybe not even released. Usually I’m really in touch and I’ll often decide at the very last minute what I’m going to do, but I don’t want to disappoint people so I’ll do songs that people know. Honestly, I’ve sometimes got real die-hard Melanie people who don’t want to hear ‘Brand New Key’ and want to hear the newer or more obscure things. There will be something for them too. How much new material do you have? I write all the time and I have a new album, which was quasi-released. I’ll be bringing some CDs with me to have at the shows; it’ll be like Melanie’s garage sale. The new album is called Ever Since You Never Heard Of Me. My son and I write together and he just produced a new single called ‘Make It Work For Me’. I’m thinking that we live in a world where people just download a song they like, so I decided to do it that way. But of course, for those people who want a concept album, we’ve been working on an orchestrated Melanie piece. My son is a real composer and has toured all over the world as a solo concert guitarist, and he’ll be with me as well as an Australian contingent. It should be a lot of fun. Could your new material be called classic Melanie material, in terms of style? I don’t know; I’ve never really identified myself. When you really think about it, my hits were all over the place; a pretty eclectic mix. One record was a gospel hit, with 46 gospel singers and the next was a little whimsical thing and the next was ‘Beautiful People’, or however chronologically it goes; I know they’re all in there somewhere. I’m always a little all over the map, so is there such a thing as a ‘classic’ Melanie song? They’re all me, I guess. You’ll probably forever be associated with Woodstock and the hippy movement. What are your main memories of the festival? I remember everything; I could take three days to talk about it. When I arrived I was totally not an experienced performer. I didn’t have any hit records, just one recording that was being played on underground radio, and if even one percent of that audience had ever heard it, it would have been amazing. I was terrified, and on top of that I was really an introvert – and still really am, but I’ve learned how to handle it. The terror mounted all day long. I went to the festival with my mother, as I was working on a film score in England where my husband was producing and we had been working together. I almost thought that maybe I shouldn’t do this Woodstock thing, but decided that I suppose I should go. I thought it was going to be like a little picnic in a field with arts and crafts, and families with picnic blankets; I had no clue. Communications then were so different; the hype hadn’t hit England and at the last minute my mother picked me up and we drove to Woodstock. We hit some traffic and I thought there was maybe an accident or something, and when I finally got to a phone booth and got someone on the phone, we realised the traffic had something to do with this festival thing; it wasn’t just weekend traffic or anything like that. Then I began to shake, and when we got to the rendezvous place someone told me to go to a helicopter, and I’d never been in a helicopter and asked them why we can’t just go in a car like everybody else. My mother and I went towards the helicopter and somebody stopped us and said ‘Who’s she?’ I replied ‘It’s my mom,’ and they told us she couldn’t come; it was bands and managers only. So I got into the helicopter alone, having said goodbye to my mother, and I get brought to this field where I didn’t even know what this ‘stuff’ was underneath me. I asked the pilot what it was, and he said ‘It’s people!’ I’d never seen anything like it; it was incredible. I was led to a tent where I didn’t have even as much as a backstage pass, so if I wandered too far from the backstage area, Hell’s Angels types would pick me up and bring me back out to the crowd. I would have to say ‘No, no, I’m an artist, I’m supposed to sing!’ and I would sing a line from ‘Beautiful People’ or something, and they took me back. By night time it began to rain and I thought everyone would surely go home, and the announcer made a statement saying that someone was passing out thousands of candles and some inspirational little note. Then someone came in and said ‘You’re on next’. I really, really thought I was going to die; I can’t even say how terrified I was. All day long I was waiting, and people had been telling me all day that I was on next before postponing it, and this time I was waiting for the postponement, but it didn’t come. I went on and had an out-of-body experience and rejoined myself somewhere during ‘Beautiful People’. The thing was, because it started to rain and the announcer was talking about the candles being passed out, I’m forever linked with the lighting of things at festivals even before the song ‘Candles In The Rain’. It was an amazing camaraderie that everyone wanted to continue, and then I wrote that song and bringing something that lit to a Melanie show became the thing to do. At what point did you realise you’d been part of such an iconic cultural phenomenon? Maybe when we started doing reunions I realised it was such a monumental thing. I mean, it was a festival and then I did every festival; I became like a festival queen. Every time there was a big festival, Melanie had to be there. I guess the [idea] of me at Woodstock was that I went onto the stage as an unknown and came off as a celebrity. I think that was part of the mystique; after all, there were lots of other people at Woodstock, but I’m so linked to it because of that. I’ve written a musical based on the life of my husband and I. My husband passed away three years ago; he was my manager and producer for all my albums as well as being the father of our children. So it’s a whole new universe, and from the day he passed away I started thinking of this incredible story. He always wanted me to write my journal and memoirs as an autobiography, and I always said I don’t know what to write or that I didn’t have a lot of pictures as I was always so shy that I would run from the photo op. I just don’t think I’m a person who should have a book. On our last road trip he gave me a leather-bound journal and told me to just write. He said it doesn’t matter where you start; at the middle or about single events that happened in my life, or from singing at the United Nations general assembly or different situations and moments. When he passed, I looked at this empty journal and started to write. My first line was ‘Sometimes you don’t know it’s a story until it has an end’. Then I wrote our story, which is really a strange one. We were married for over forty years, working in a business that is relentless and at the same time we were totally opposite [types of] people. I was very young and he just swooped me up, you know? I looked at it from the perspective of forty-three years later against the backdrop of historic events like the war in Vietnam and it all came together as a musical, with some old songs and some new. We did it once, and I’m still looking to do it; it’s a really amazing show. Maybe we’ll get some theatre people in Australia involved. Reblogged this on LittleSongbird4Joy s Blog.